Honor Note 10 made its appearance on TENAA with the code name RVL-AL09, showing a many number of its technical specifications just a few days before the official launch, scheduled for next July 31 in Beijing. Practically confirmed the hardware characteristics emerged from the latest rumors. 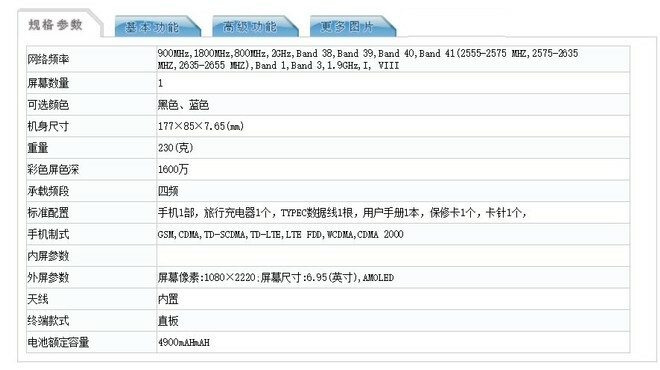 According to the information contained in the dedicated page of the Chinese institution: Honor Note 10 will feature a 6.95-inch AMOLED display with FHD+ resolution, three different storage options – 6GB/8GB of RAM and 64GB/128GB/ 512GB of internal storage expandable via Micro SD support. Under the housing, on the other hand, a 2.4GHz octa-core SoC which most likely should be fueled by HiSilicon Kirin 970 chipset. Finally, the multimedia sector features a dual 16MP + 24MP rear camera and a 13MP front camera with Face Unlock support. The battery capacity is 4900mAh. Unfortunately for us, the dedicated page does not contain any image of the device. For more information, however, we just have to wait for a few more days.